The bloggersphere provides a huge amount of diversity: that’s the beauty of it. Although there are thousands of passionate, well-informed, intelligent women (and men) out there, it’s time to celebrate those of us that don’t fit the traditional model that’s so prevalent in the wider media. We’re not all 23 year olds with flawless skin, size ten Topshop jeans and ombre hair dos – although they obviously are to be as celebrated as those of us that are the complete opposite! After writing a post about the importance of 30+ representation both in the media and in our online/digital world, I was astounded at the positive response from readers and fellow bloggers alike; beauty is definitely not the monopoly of the young. It seems there are actually a huge number of bloggers out there above the age of thirty that are doing a sterling job and need to be applauded for that… So I set about collating them all in order to launch a new and exciting project. 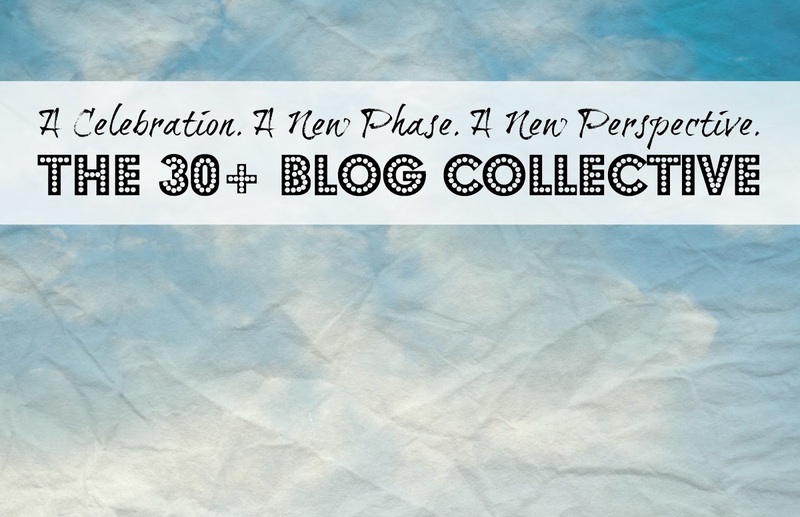 Today I am officially launching the 30+ Blog Collective: a new group of professional, dedicated, passionate and knowledgeable bloggers with a specific interest in beauty, health and well-being. A slightly older demographic than other collectives, together we will provide a different perspective and opportunity for readers to discuss relevant issues, products and information with us. Below is the list as it stands, but this is only the beginning… I have huge plans for this collective, including regular newsletters, meet-ups, networking events, brand collaborations and so much more. It seems there’s a real gap for a group of women over the age of 30 (or thereabouts – some are not too shy of the big 3-0, and this is about being inclusive not exclusive!) Of course anyone who wants to be involved, whatever their age, can be – all you have to do is leave your details here and I’ll update the list regularly. I will be investigating how to best host this list over the coming weeks, but for now there will be a dedicated page on the blog (see it here) and the hashtag #30plusblogs so you can follow the conversation and ensure you’re keeping up to date with all the great content out there from women with similar interests. I’ll be launching a Twitter chat in the coming weeks too, and hope to be able to champion this awesome category in the way it deserves to be done. (NB, if you’d like to view the full list of blogs please click here. If you’d like to be included in the 30+ Blog Collective database and receive news and opportunities over the coming months, please fill in my quick questionnaire with a few details about you, your blog and your interests. I promise it will take two minutes! Previous Post WHAT ARE FRECKLES & WHY DO I HAVE THEM? Thanks for including me and hello fellow collective friends! I'm looking forward to getting to know all your blogs! Would it be fine if I fill the form being a spanish-writing blogger? You are awesome! Thank you for including me, now I have so many new blogs to discover! This project is much needed! Lovely to be included in your collective! Looking forward to hearing more. Well done! Wow that's a lot of blogs. I will happily make my way through them with a cup of tea. Thanks for doing this. Excellent idea, I'll definitely be signing up to this. Whilst a lot of the younger blogs are still relevant a lot of the time you're right, as you get older priorities and preferences shift, plus it's just a nice way to get to know some fellow bloggers which can be difficult. Yey for the grey-haired crew! Excited to see where this goes. As you know this is something I'm totally up for embracing at the moment. Fantastic – sooooooo much stuff to read now and hopefully more relevant – thank you so so so much. Finally!!! I am so happy to have come across this. Finding others in my age bracket is definitely hard. This is a great resource! Bravo! What a great idea! Hope I make it onto the list now – in the meantime, I'm off to read the others! Looking forward to having a good nose around these blogs – thank you! Thank you for including me also – this must have taken a huge amount of time and effort. I am so excited to be involved and can't wait to see how it grows in the future. I love this! It's so amazingly relevant yet overlooked.